It’s been a while since I’ve posted about my Vitiligo, so today I just wanted to give you an update and share part of my routine. I have noticed some slight depigmentation on my hands and feet since my last vitiligo post. Although it’s very minor and slow progressing, I am doing everything I can to keep my stress levels low, as stress can accelerate depigmentation. As I have mentioned before, I have tried some European, Mexican, and South American topical medication that claim to help re-pigment the skin. However, these have not had any positive, or negative, effects on my vitiligo. One thing that I always use, and never leave home without, is Vaseline Petroleum Jelly. I don’t usually promote the use of petroleum byproducts, but years ago, a good friend, and MD specializing in natural medicine, told me to use Vaseline on my white spots everyday. I have to say, this is the only thing I have used and actually seen re-pigmentation. I don’t know why it works for me, but I feel it’s what keep my vitiligo from progressing faster. Now I’m not say that this is a cure, or that it will work for you, or that you should even try it. I’m just sharing what I do. I also like to get a lot of sun. I’m so glad the weather has warmed up enough so I can get some good, vitamin D producing sun rays. We get most of our vitamin D from the sun. Vitamin D produces melanin, which gives us our pigment. This has also helped the re-pigmentation in some areas of my skin. Again, this is what I do for me. Please consult your doctor before trying anything new. Also, I always use sunblock to protect my already sensitive skin. 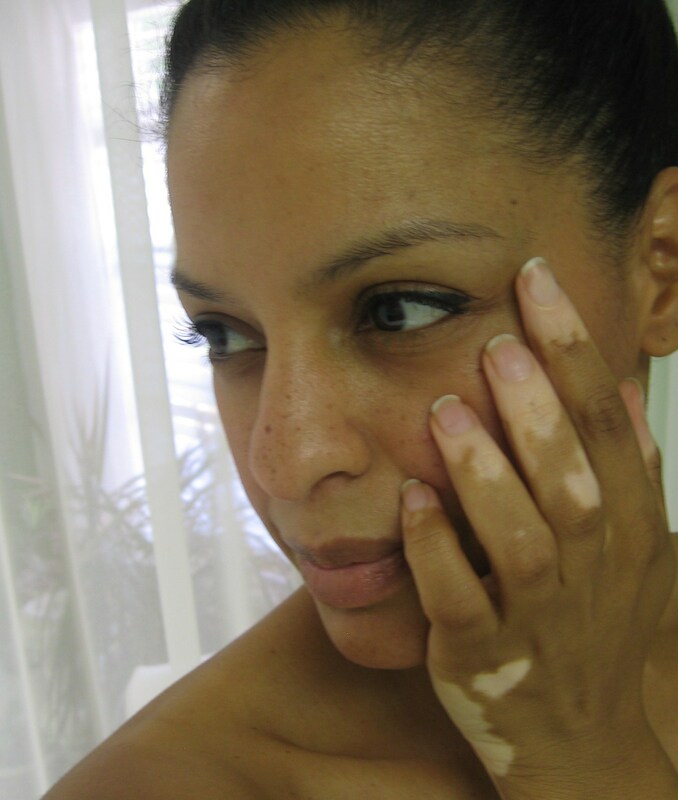 What is your vitiligo routine? Thanks for the post. I have never seen this condition before.